Will Arnold came to Los Angeles a winner. He had just helped Brown University pull off one of the greatest comebacks in ultimate history in perhaps the most exciting college finals ever: a 15-14 universe point win against Colorado in 2005. The result stunned ultimate fans across the country who were expecting a swift Colorado beatdown and scored a victory for purists obsessed with elevating nebulous concepts like “system” over sheer flash and firepower. Arnold’s Brownian Motion teammates and Mamabird opponents read like a who’s who of top ultimate talent in the game today: Josh Ziperstein, Colin Mahoney, Beau Kittredge, Jolian Dahl, Josh Ackley, Adam Simon, and Mac Taylor. Will Arnold celebrates a goal during the 2005 college championship final. Matt Lane Photography. Lured to the West Coast by his girlfriend and encouraged to play club open by UCLA women’s coach and former teammate Alex Korb, Arnold was the embodiment of Brown’s structure, discipline, and intensity. He also gained several years of club experience with Chain Lightning, Sockeye, and Death or Glory, learning from the best of Boston’s aging championship core. Monster, LA’s sole open team at the time, had shown promise after forming in 2004 – finishing tied for 5th at Southwest Regionals two years in a row – and Arnold was widely seen as the leader that could bring it all together. By 2008, he was out of ultimate altogether, his experiment finished. And while it’s perhaps a touch hyperbolic to suggest that the work and relationship priorities of one player could somehow encapsulate decades of a city’s futility, it’s worth asking the question: what is it about Los Angeles that chews up ultimate talent and spits it out? Google Maps is telling me that my 15 mile cross-city drive from Santa Monica to Silverlake will take approximately 26 minutes. On the hazy weekday afternoon that I conduct an interview for this article, the drive takes me an hour and a half. By the time I finish darting and weaving through bowel-clenching weekday afternoon traffic, I’m bitter, miserable, and tense – contemplating existential thoughts and plotting my escape from Southern California altogether. A quick perusal of online dating profiles in the area shows a large number of people unwilling to date outside of their particular corner of the city. If people are reluctant to drive for dating or the chance of a casual hookup, what do you think the chances are of getting people to go to ultimate practice? I wish I could say this was in any way an exaggeration. When it takes less time to drive from LA to Santa Barbara on some days than to get from one point in the city to another, defecting to the Condors for one or two weekends a month begins to sound a lot more attractive. Imagine trying to drive across the city once or twice a week for ultimate practice and you’ll quickly realize it’s not worth the energy, and virtually impossible to draw top talent from across the area for one team. These are bleak times for open ultimate in Los Angeles. Renegade’s regular season record ended at 6-9, placing the young squad at 35th place in the nation – 6th of 7 teams in the Southwest region above Brawl, Phoenix Sprawl’s “B” team. LA’s second team, Gridlock, failed to meet the minimum threshold for regular season games and headed into the series without a signature win. It would require an extraordinary miracle for either team to make it to Sarasota in 2012. Aside from 1987, 1988, and 2006, a year in which Monster crashed out with a 16th place finish at UPA Nationals and an average loss of six points, LA-based open teams have missed ultimate’s final tournament each year since 1977. Since 2008, the de facto year of Monster’s dissolution, there have been six separate open teams, none that inspired much more than a shrug outside of Southern California. Monster celebrates the 3rd bid at 2006 SW Regionals. Christ Frost Photography. It is easy to blame 35 missing seasons — practically unthinkable for the second-largest city in the country — on the lingering inability to organize anything in a city with LA’s bewildering sprawl and diversity. But in LA, there is a maddening thread of low expectations that has carried over through a litany of schizophrenic name changes, missed opportunities, and the sheer inability to get its best players to play on one team. Talent has never been much of an issue. The history of ultimate in Los Angeles traces back to the earliest beginnings of competitive, organized ultimate on the west coast. Southern California was a hotbed of ultimate in the late 1970s, and the LA county region boasted eight distinct teams who would play each against each other at round robin tournaments throughout the year. LA’s earliest open team (Foothill Institute of Frisbee Culture) formed in 1976 out of the LA Frisbee Club, an organization devoted to putting on frisbee events in the region. In the early days of the Ultimate Players Association, Foothill were serious competitors, losing in the inaugural Western Regional finals in 1977 and 1978 to the Santa Barbara Condors and boasting Hall of Fame Inductees Dan “Stork” Roddick and Irv Kalb as team members. It should be noted that it was insanely hard to make Nationals at this time. From 1982, when Nationals grew to two open teams per region, to 1995, when the Western Region formally split into the Southwest and Northwest, LA teams had to compete against every major club west of the Mississippi for one of two championship spots. For an idea of the kind of anarchy that ruled during the early days of the Ultimate Players Association, take the example of 1982 Western Regionals. The tournament was structured around four pools of four teams, and three games on Saturday determined the top two spots to move on to single-elimination quarterfinals. The Irvine Mudsharks drew the defending National Champion Santa Barbara Condors in quarterfinals, a team that had crushed them all season long. Carrying on into Saturday evening, the game was suspended on account of darkness with the Mudsharks up by two. Both teams reconvened at 8AM the following morning with the team from Irvine pulling off the stunning upset. The Mudsharks lost in double-elimination semifinals to the Portland Fun Hogs, and after winning the next game were slated to play them again for the final spot. Portland says, “we already beat you, we’re going to Nationals,” and the argument carries on late enough that the game cannot be played. The next weekend both teams flew into San Francisco and drove to Chico to play one game for the final spot, which the Fun Hogs took down 21-11. LA/SD Iguanas player Brent Russell lays out during 1990 Nationals in West Palm Beach, Florida. Brent Russell Photography. Despite the chaotic nature of qualification, LA ultimate repeatedly made UPA Nationals in the late 80s and early 90s, both as stand-alone teams and in coordination with San Diego. In 1987, the LA Drivers became the first team from Los Angeles to make Nationals, sneaking in as the third team from the Western region under a newly-implemented wildcard spot. The team would return in 1988, but failed to earn a spot in semifinals. The Drivers would constantly battle it out with San Diego for a spot to Nationals, and in 1989 the teams joined forces to create the Southern California Iguanas with the express purpose of winning a national championship. The Iguanas rolled through pool play in Washington, D.C., but lost to San Francisco Tsunami in semifinals. The next year, the Iguanas finally put it all together and made finals, but lost to an intense NYNY in year two of an impressive five year title run. The elder statesmen on the Iguanas, who had moved on to compete in the masters division in 1994 and 1995, were approached by some of the younger Los Angeles-based talent to join forces and compete in the open division in 1996. The merger was unsuccessful, and the driving forces behind it -including Taro Ramberg, JD Lobue, Jr., and Greg Husak – each became key members of the Condors championship teams. 1988 was the last time a purely Los Angeles-based team would make club open nationals until 2006. You’ve seen it before. Team X declares in the preseason that this will be the year. They’ll put in a ton of time and energy, stick together over a five year period, and grow into a dynasty. Then the clock ticks down to the start of the season, and everyone jumps ship to the best team they can personally find, consequences be damned. It’s nothing more than self-interest, and in this case the temptation to drive to Santa Barbara is far too easy. The Condors at 2007 Colorado Cup. Matt Lane Photography. 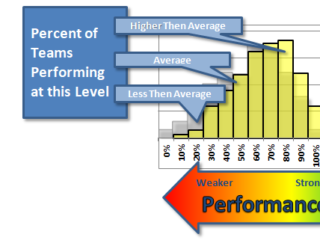 The measure of whether a city has a good team is not just the available talent pool, but the percentage of that talent pool that actually plays for the team. 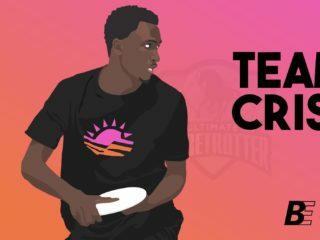 Since the inception of organized ultimate on the west coast, the Condors have always been the elephant in the room standing in the way of a cohesive ultimate franchise in Los Angeles. The best players from Los Angeles have consistently defected to their more established cousins in Santa Barbara. The Condors, legendary Claremont Braineaters founder and Irvine Mudshark member Jeff Landesman tells me, carried a number of key Los Angeles-based players during their championship runs in 2000 and 2001. Landesman himself played for the Condors in 1997. By 2006, Santa Barbara ultimate was on the decline. The core of the Condor championship teams in 2000 and 2001 was almost completely gone, and opposing players no longer feared their intensity and discipline. College teams in Los Angeles began nipping at the heels of UCSB Black Tide and UCSD Air Squids, and more and more players were making the decision to stay and play in LA. Will Arnold seamlessly slipped into a leadership role with Monster and as part time coach of UCLA Smaug. He brought legitimacy, an ultimate pedigree, and – most importantly – the willingness to take on the task of restoring LA’s legitimacy on the national scene. Will Arnold lays out for a D against Washington at 2005 college nationals. Bil Elsinger Photography. Arnold was successfully able to recruit much of LA’s top talent to Monster in 2006, and added several key out of town pickups, including stud Kansas handler Julian Ryba-White. From a certain perspective, 2006 was precisely so frustrating because it showed what LA was capable of if it kept its best players in town. Los Angeles finally had its leader, its organization, and the commitment to excellence. The good vibes wouldn’t last, however, as swagger turned to discord and division as Monster crashed out with a 16th place finish at UPA Nationals. The Condors thought so highly of Monster that several of their players decided to smoke out before their game in pool play. 2007 would prove to be an out-and-out disaster as Monster’s captains brought aboard many new talented players that were an improvement on paper, but lacked the dedication of the older, wily veterans. Predictably, cohesion suffered, and the young studs left for greener pastures when the promise of a nationals berth and instant success failed to materialize that year. Sockeye star Jimmy Chu lays out for a simultaneous possession D at 2006 club finals. Bil Elsinger Photography. It’s not the kind of move that can make or break a season by itself, but it proved disastrous for a team desperate for a big-name talent to put itself over the top. Kiyoi and Chu helped the Condors maintain relevance despite the decline of UCSB Black Tide and the retirement or defection of most of the team’s seasoned veterans. After the Condors underwent a controversial restructuring of the team in 2007, the team took on many new players from Los Angeles and moved practices 56 miles from Santa Barbara to the city of Thousand Oaks. The alliance was lukewarm at best: the Condors are known for their insularity and every player in Los Angeles can remember at least one chippy game. But the Santa Barbara captains defended the move as a way of drawing in more of the region’s top players, and the LA players relished the opportunity to play for a proven winner. The Los Angeles players would end up leaving in a bitter split that left no doubt about who were the second-class citizens on the team. The Condors lost in pre-quarters at Nationals in an unsatisfying end to the season and LA-based players were told they could try out for the team again next year. Practices would move back to Santa Barbara for good, and the direction and leadership of the team would once again be focused on a core of locals. After Monster stumbled in 2007 – losing every game save one at the elite Labor Day tournament in Santa Cruz and bowing out in the backdoor semifinals of regionals to finish fourth – the team was in open revolt, as practically half of Monster left to play with the hybrid Condors squad. Monster lost all three games in regionals pool play in 2008, and were eliminated in embarrassing fashion to a University of Colorado squad using regionals as a tune up for the start of the college season. The fallout eventually affected both teams, as the Condors missed nationals in 2009 and 2010 for the first time since 1996. The returning LA players scattered to a decimated Monster, a Strike Slip team that wouldn’t live up to expectations, co-ed, or out of the game altogether, a product of burned bridges, infighting, and frustration with failing to actualize their potential. In the irony of ironies, Arnold himself tried out for the Condors in 2008 before removing himself from consideration, bowing to work and relationship pressure. It’s an overcast January day in Santa Monica, and over 2,000 ultimate players on 163 teams are wrapping up their placement games at Lei-Out, one of the largest beach ultimate tournaments in the world. Players from around the country flock to the beach every year for Lei-Out, and the tournament is a showcase for the LA ultimate community and its governing body, the Los Angeles Organization of Ultimate Teams (LAOUT). LAOUT runs a beach, summer, goaltimate, winter, and womens league, and lists 26 weekly pickup games. LAOUT’s President, Andy Bandit, estimates that LA is home to roughly 500-600 active players. LAOUT’s showcase, however, is lost on the people that actually live and work in Los Angeles. Visiting the Santa Monica Pier for Angelinos is an experience akin to Seattleites ascending the Space Needle or Parisians scaling the Eiffel Tower. Thus Lei-Out’s visibility is limited to the few tourists brave enough to head to the beach during one of the rare times that the city can be cold and blustery. The contradiction between a robust pick-up and league scene and the lack of quality club teams can be attributed in part to this lack of visibility. Los Angeles is one of the most park-starved metropolises in the US. The city has the lowest per capita public open space and park land of any major urban center in the nation, and only a third of LA residents live within a quarter-mile of a park. Four percent of LA’s surface area is devoted to parks, where Boston and San Francisco have 9%, Seattle, 13%, and New York, 17%. Consequently, ultimate teams are constantly fighting with other sports for limited field space. The American Youth Soccer Organization (AYSO) is the “bane of ultimate’s existence” in LA, according to Schissel. Monster would show up for practice on more than one occasion to find their field space hijacked by soccer games with unsympathetic players and coaches. The current weekly ritual at Tuesday night pickup in Santa Monica involves nearly coming to blows with soccer players who are upset about ultimate players taking “their” field space and demanding to see field-use permits. Only after extended chest-puffing and arguing do they finally relent. In my experience at UCLA from 2004-2007, nearly all players on the team were born and raised in the Bay Area, having seen ultimate played throughout their childhood and sought it out on campus. Predictably, these same players head back north upon graduation. Dan Oettinger, current Condors player and several-year veteran of LA club teams, grew up in Thousand Oaks. He explains that Los Angeles has a classic chicken/egg problem: the city lacks stable, high-end ultimate talent to organize and run youth programs and therefore cannot nurture the local talent necessary to trickle up the college and club ranks. 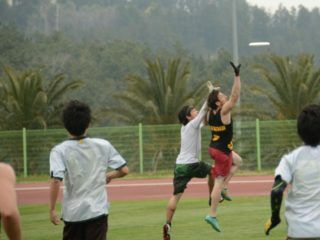 While the Youth Ultimate Frisbee Organization of California (YUFO) now runs a youth beach and summer league, the city is light years behind Seattle, Boston, and San Francisco in youth development. 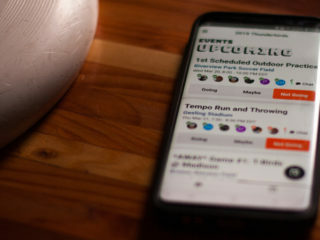 For the most part, ultimate is still played by college-educated professionals that flock to cities with large technology and engineering scenes and a variety of work and play options. LA may have the attractiveness down, but for all of the talk of defense industry and growing “Silicon Beach” community, this is still a one-industry town. That, combined with the exorbitant cost of living, makes for a hugely transient city, not one that inspires its residents to stay for extended periods of time. Suffice it to say, “sticking it out through adversity” is an alien concept here. Toughing it out is what people in Boston and Philadelphia do, provincial cities that live and die with their sports teams and hardscrabble nothing-to-something stories. Los Angeles is a city that rewards and praises instant success, unlike cities such as New York where old money is venerated and new ideas are met with entrenched skepticism. It’s a city that accepts only championships for the Lakers, Kings, UCLA mens basketball, and USC football teams, where Dodgers fans show up in the 3rd inning and leave in the 8th to beat traffic, and where unknown actors from small Midwestern towns become megastars overnight. The fact that I really can ski and surf in the same day (were I deranged enough to brave the commute) and enjoy 75 degree weather in the middle of February lends itself to a more than a bit of front-runner syndrome. If I am a promising young ultimate talent in Los Angeles, why would I spend the 3-5 years hunkering down with my peers in an attempt to build something from the ground up when I could defect to the best thing currently available? It seems ironic that in a city where “content is king”, open ultimate has lacked it. But success on the national stage, unlike the movies, cannot be created ex nihilo. In other words, LA doesn’t have an ultimate program because it doesn’t have an ultimate program. The blue pyramid of Cal State Long Beach rises like a hallucinatory fever dream over a brutally hot Sunday at Southwest Mixed Sectionals. Los Angeles Renegade are half-way through a scrimmage during a four hour practice next door, and the captains are imploring the team to stay focused. The scrimmage is getting sloppy as fatigue sets in and I count at least five discs that slip out of a thrower’s hand on attempted hucks. Renegade founder and captain Evan Valdes skies his co-captain Simon Margolis at the Kaimana Klassik. Evan Valdes Photography. 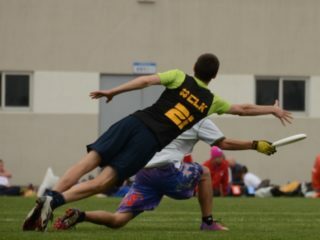 Renegade player Trevor Smith gets a layout D against Sprawl at 2012 SoCal Sectionals. Evan Valdes Photography. You have to be impressed by a team that is finally saying and doing the right things. But will it last, or is Renegade merely the latest iteration of LA’s familiar narrative? “How is practice going?” I ask a player stretching between points. The team did, however, win the spirit award with a perfect score of five. Thanks to Jeff Landesman and Joe Seidler for much of the information that follows. The Fun Hogs were a running joke at UCLA in the mid-2000s. Smaug’s captain in 2005 would get a few laughs with his motivational speeches about a mythical team from a faraway land that couldn’t lose because they hogged all the fun. I guess he wasn’t that far off. The team’s logo, a man dressed in black inside a car holding a gun, was a nod to LA’s spate of gang-related drive-by shootings. At 12-team Nationals, teams were split into two pools of six, with two games on Thursday, two on Friday, and one on Saturday (all to 21 points). The top two teams in each pool would advance to semifinals. NYNY won six out of seven championships from 1987-1993. Five starters, including all three handlers, missed the tournament due to work conflicts and/or injury.